I’ve always loved the idea of big, busy, majestic hotels. You know, beautiful, vintage hotels filled with lots of interesting, and, yes, glamourous people. Grand hotels with superior amenities like: celebrity chef restaurants, cafés, bars with live entertainment, spas and shops. I’ve been lucky enough to stay in a few over the years, and I’ve visited many in cities like Ottawa, Toronto, Montreal, London, New York, Palm Beach and Boston. When I was a kid I saw a movie called, “Hotel”, based on the Arthur Haley novel of the same name. It starred Rod Taylor as, Peter McDermott, the manager of a famous, old, New Orleans hotel that overlooked Big Muddy, a.k.a. the Mississippi River. The hotel was called, the St. Gregory. The main theme dealt with change and McDermott’s effort to prevent it. He wanted to keep the old family owned hotel – with its distinct character, history and traditions – from falling into the clutches of a large, modern hotel chain. 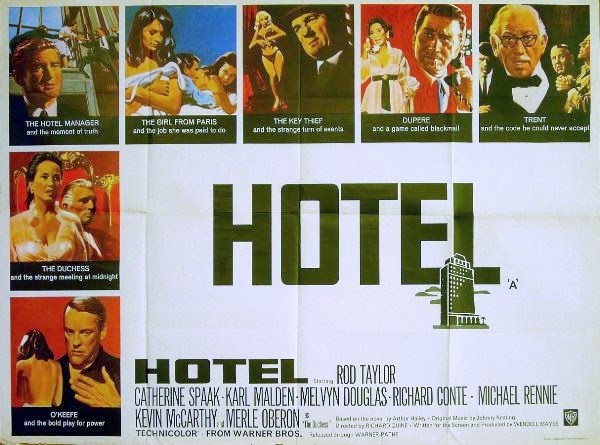 “Hotel” fascinated me because it featured hotel guests such as a Duke and Duchess, and characters like the St. Gregory’s hotel detective – and a hotel thief, played by the distinguished actor, Karl Malden. But, I was drawn to this movie mainly because it showed so much of what goes on behind-the-scenes in the running of a labyrinthine hotel in a major city. When I was old enough to visit the old Newfoundland Hotel for various events I’d make sure to soak up the stately hotel’s Old World atmosphere. It was exciting and I’ve loved visiting historic, grand hotels ever since. This fall, while in Boston, Massachusetts, I visited the “longest continuously operating hotel in the United States of America”. 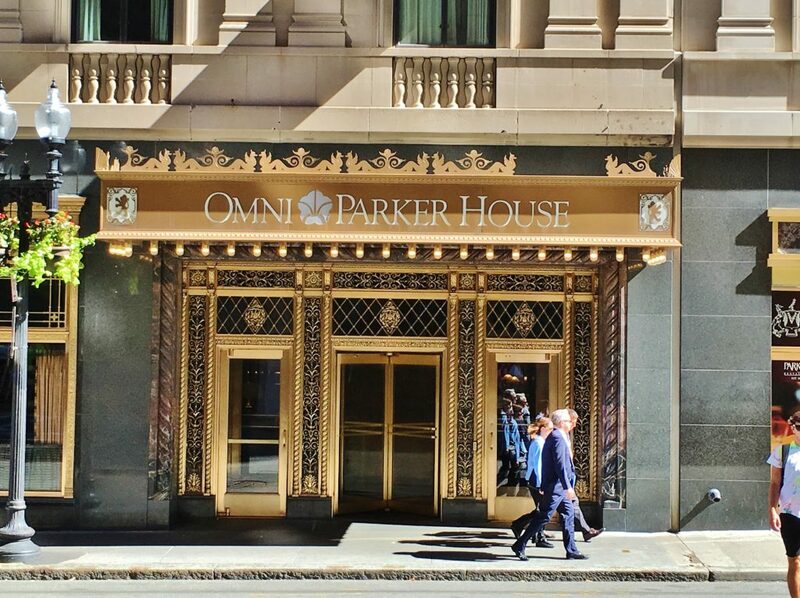 Now called, the Omni Parker House, the original parts of Parker House were built by Harvey D. Parker (and partners) in 1855. Although you may not have heard of it I’m confident you’ve heard of a famous Parker House invention, Boston Cream Pie. If not, perhaps you’ve heard of another, Parker House Rolls. 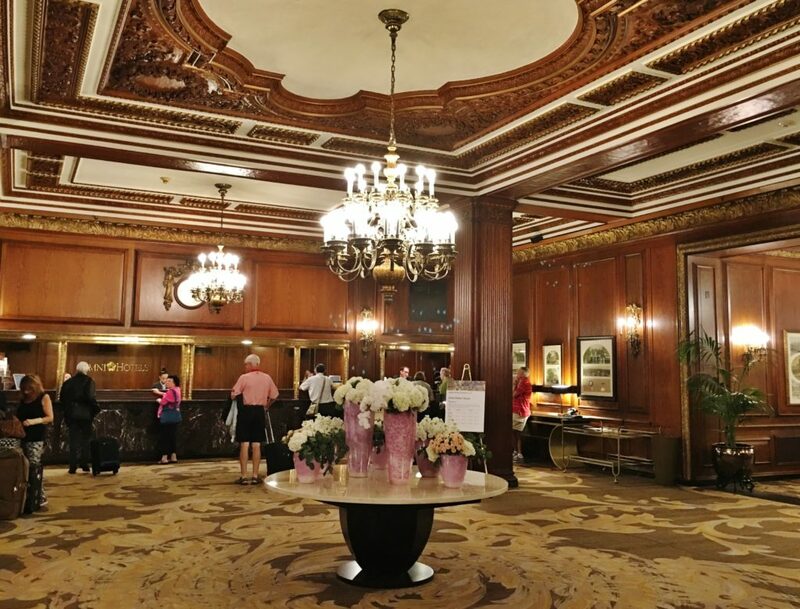 The beautiful stained wood Parker House lobby showcases the kind of 19th Century elegance you’d expect to find in a great hotel founded in 1855. It’s a cavernous space with a massive, specially designed carpet and a flower laden round marble table at its centre. High above are tray ceilings – featuring elaborate, decorative moldings – from which hang large, sparkling chandeliers. Bamboo palms soften sharp corners and shiny, glittering brass borders frame the Parker House reception desk area. Just beyond reception is the entrance to Parker House Restaurant. It too is elegant. Tables are covered in starched white cloth. Place settings feature china, immaculate flatware, folded cloth napkins and a selection of stemmed glasses. Expensive wood framed chairs, with upholstered seats, soft backs, and fabric piping give the dining room a look of graceful importance. 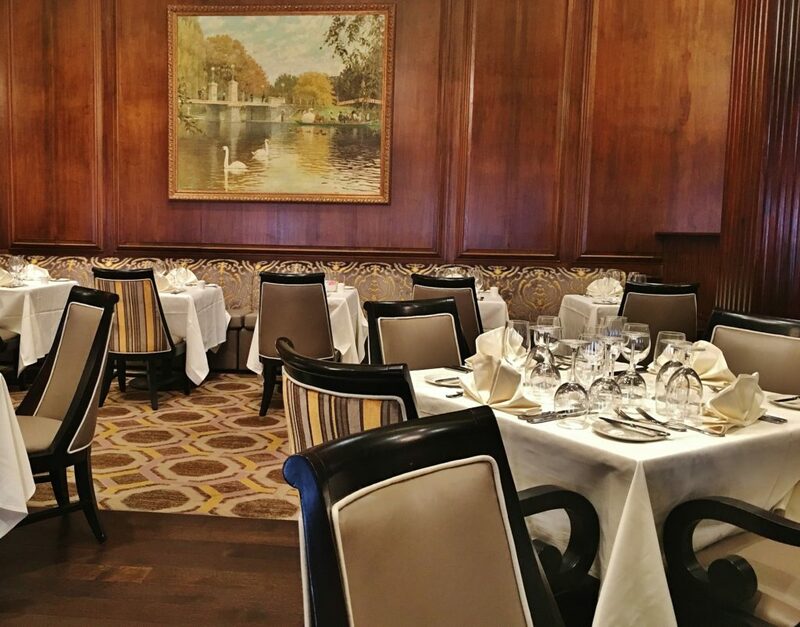 As you might expect, the lunch menu at Parker House is traditional – with some classics like New England Clam Chowder, French Onion Soup, Cobb Salad and New England Lobster Roll – and comforting. Titles alone, like Braised Beef Short Ribs, Lobster Mac & Cheese and Smoked Brisket are enough to induce a temporary sense of pleasure, followed by intense hunger. 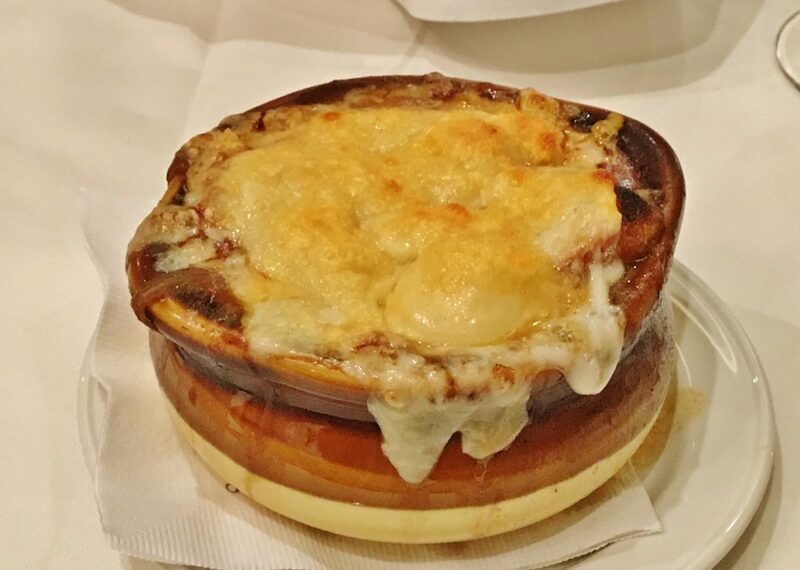 My lunch began with French Onion Soup and it was perfection. A thick cap of melted gruyère stuck to the rim of the bowl. Prying the cheese loose involved the fun of pulling and stretching. Sweet caramelized onions gave weight to the beef stock, and a dash of sherry contributed that lift that alcohol sometimes bestows. With Parker House Rolls and butter the soup made lunch enough for one. 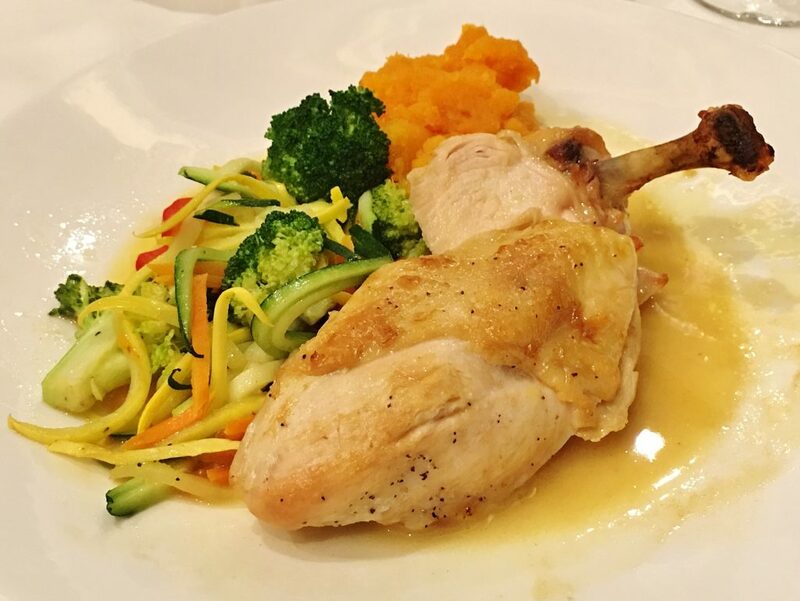 After a main course of delicious (but slightly overdone) Pan Seared Chicken with sautéed zucchini and broccoli, it was time for the dish I’d been longing to taste. 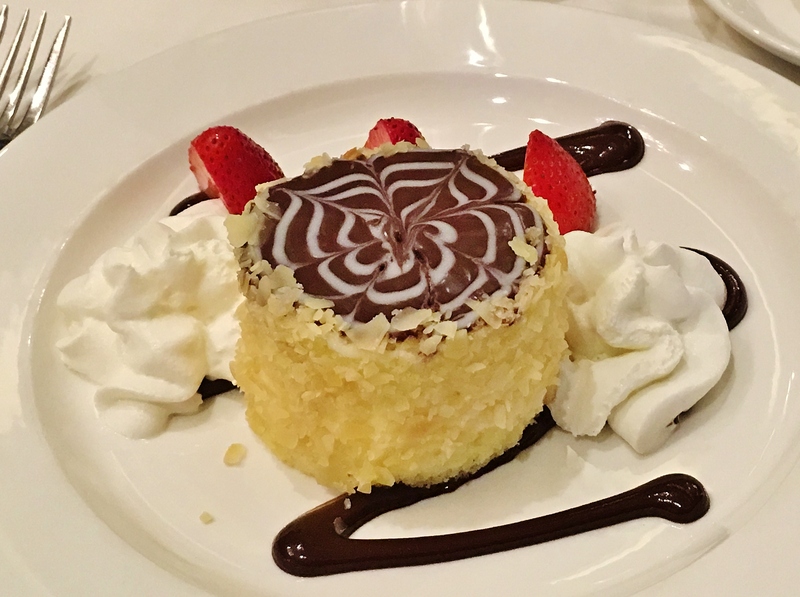 It was, of course, the Parker House Restaurant’s own Boston Cream Pie, a dessert invented there, made there (from the original recipe), and served there every day for the past one hundred and sixty years. By the way, initially the hotel used to call the dessert, “chocolate cream pie”. My first reaction was to be somewhat taken aback that it didn’t look at all like the Betty Crocker cake mix version of Boston Cream Pie. You may remember that that was a popular cake mix some time ago, and my only point of reference. But no, the authentic cake – it is actually cake not pie – doesn’t feature a flow of chocolate on top that drips down over the sides. The Parker House Restaurant’s cake had chocolate on the top only, while the sides of the authentic Boston Cream Pie were coated with lots of toasted almonds. Between the two halves was the buttery, eggy cream, some of which had been saved to spread around the sides of the dessert as glue for the toasted almonds. Altogether, everything tasted as good as you’d expect the elements of scratch cake to taste. The actual sponge cake parts were tender and rich, and, well, chocolate, fresh pastry cream and almonds are pretty much manna from heaven as far as I’m concerned. It was cake worthy of a great reputation and historical significance. It’s been my experience that hotels that have been around for a while also have employees who’ve been with them for many years. Our server, originally from Portugal, had, after a short stint in London, arrived to work in Boston at the Parker House Restaurant 40 years ago. He’s been there, in jacket and tie, ever since. I asked him whether he’s had the opportunity to serve many well-known people during his career. Decades before, in 1946, another Kennedy, JFK, announced his candidacy for the US House of Representatives at the Parker House Hotel. 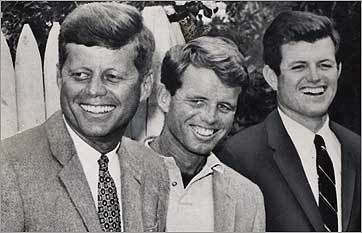 President Kennedy also held his bachelor party at the hotel. 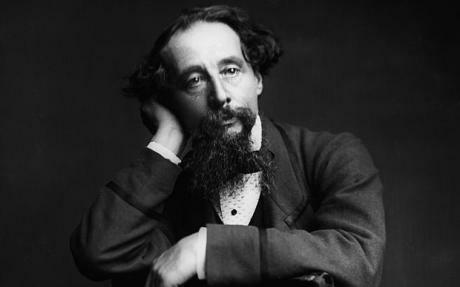 Of all its notable guests, the most famous Parker House resident was the British novelist, Charles Dickens. Dickens lived there for two months in 1867 and 1868. Not only that but Dickens’ first public performance of his famous “A Christmas Carol” reading took place in the Parker House Hotel in 1867. He performed the story of Ebenezer Scrooge for the hotel’s Saturday Club, a weekly gathering of writers and thinkers that at one time included among its members: Henry Wadsworth Longfellow, Nathaniel Hawthorne, Ralph Waldo Emerson, and Dr. Oliver Wendell Holmes. Mark Twain, in summing up his assessment of accommodations at the Parker House Hotel to a Boston reporter, expressed a popularly held opinion. 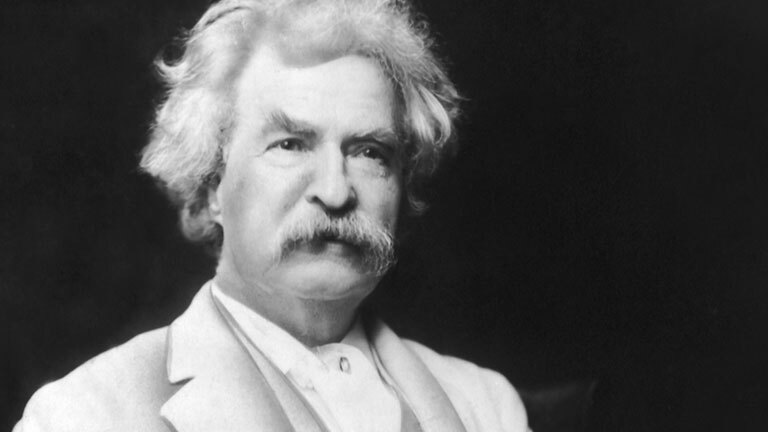 He said, “You see for yourself that I’m pretty near heaven – not theologically, of course, but by the hotel standard.” And who would disagree with Mark Twain?